Armeg Switchblade interchangeable screwdriver blade. VDE Plus / Minus 1. The Armeg Switch Blade range is designed and engineered in the UK. 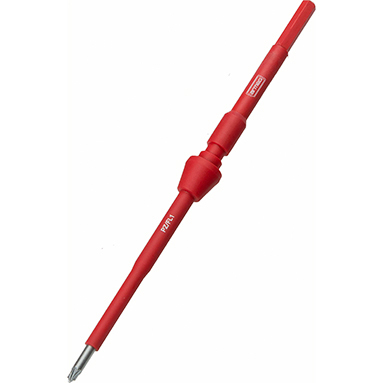 This screwdriver blade is designed to work with Armeg's VDE torque screwdriver, VDE screwdriver handle and VDE T-Handle to provide the flexibility required to work on a variety of live installation applications - saving you time, space and money. Armeg Switch-Blades are 1000V VDE rated for confidence and safety when working on live installations.